Turn your flour into a sieve to separate the flour from possible insects and dirt. Put the flour into a bowl and set aside. Get your milk and mix with the eggs. If you do not have liquid milk, you can mix your powder milk with water to get a creamy consistency. Add your salt and sugar and mix till you get your desired sweet taste. You can add more sugar to get a sweet taste, do that moderately though. Gradually pour the milk, egg, salt and sugar mixture into your bowl of flour and whisk until smooth. Ensure that the batter is of a light creamy consistency. Heat your frying pan over medium high heat and pour in 2 tablespoons of frying oil. Tilt the pan to spread the oil all over, then use a ladle to scoop the batter into the heated oiled pan. Tilt the pan with a circular motion so that the batter coats the surface evenly. Cook the crepe for about 2 minutes, until the bottom is light brown. Loosen with a spatula, turn and cook the other side. You can fold the crepe in half or a wrap. Repeat steps 4 and 5 until you are out of batter. Serve hot. 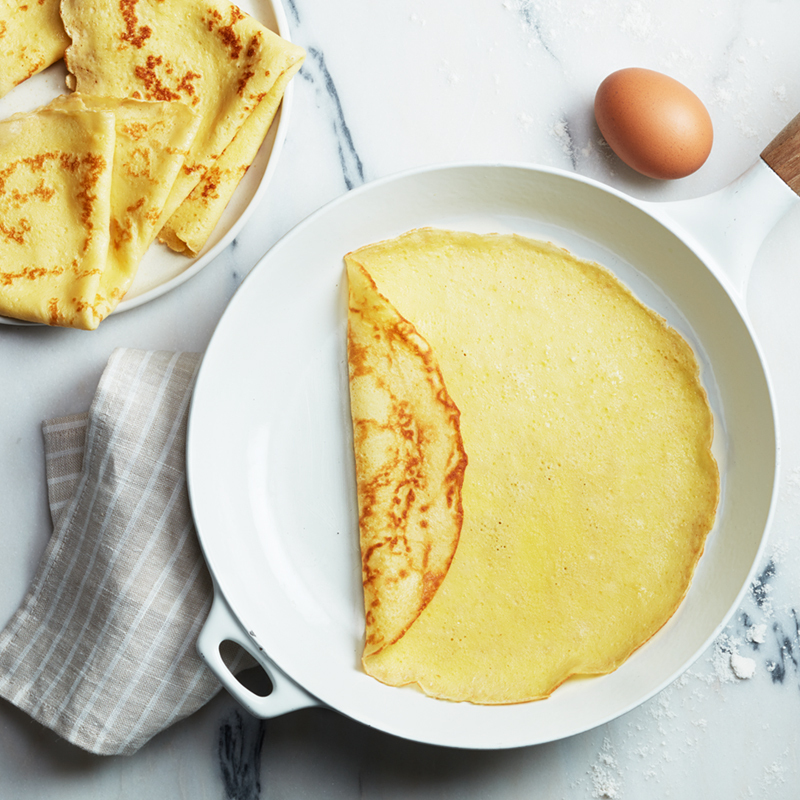 You can only fry one piece of crepe at a time and you will be required to add another 2 spoons of frying oil before adding another scoop of batter. If you are following a medically restrictive diet, please consult your doctor or registered dietitian before preparing this recipe for personal consumption.